My Grandmother was an avid sewer, so you see, it’s in my blood! 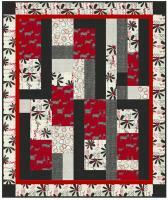 In the early 1970’s I developed an interest in quilting. I made baby quilts and dolls among other handcrafted items. I would sell them to co-workers, friends and family. I made quilts for all our beds and everyone in the house had their own throw quilts. I used to call them “Fireside Quilts” back in those days. In 1986 my husband and I moved up to the Adirondack Mountains with our two little boys. I got involved with my local quilt guild and started making quilts, wall hangings and folk art fabric accents and sold them at craft shows. 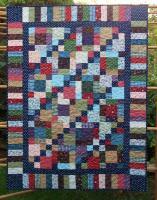 I also made custom quilts to order. As the years went by I evolved and started teaching quilting classes at a BOCES Adult Continuing Education program and at local quilt shops. 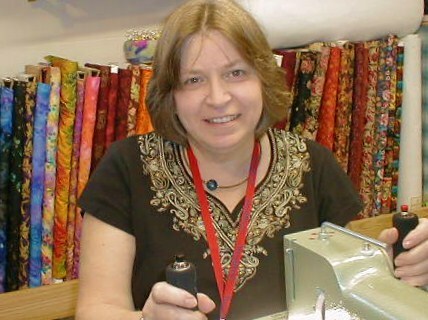 I purchased my first Longarm Quilting Machine in 2002. 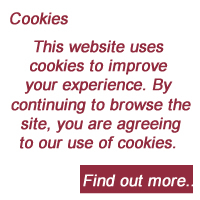 Things evolved again! I wound up opening Patchwork Passion Quilt Shop in 2006, a cute little shop located in historic Glenwood Manor in Queensbury, NY. 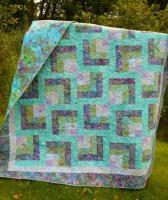 I had always designed most of my quilts and had written a few patterns prior to opening the shop. As new fabric lines came in, inspiration was all around me and I began designing samples for the shop and writing the patterns. “Little Louise Designs” was born. I am now back in my Adirondack Mountain studio and Patchwork Passion is now an on-line quilt shop featuring “Little Louise Designs”. You can visit my website at: www.patchworkpassion.biz.